Cochins eat just about anything and suffer from the resultant obesity. Their large size, full plumage and heat-producing appetites equips them for the cold weather. Cochins only lay an average of two, medium brown eggs per week or 120 per annum. Cochins seldom fly or wander and forage little. Overall, the breed produces poorly in every category. They lay few eggs, mature slowly as a meat fowl, and succumb to metabolism, heart, liver, and fertility disease. However, what they lack in production, they make up in personality. 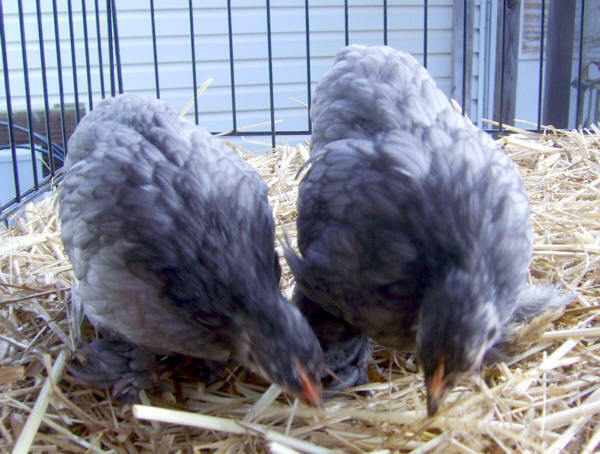 Cochin owners describe their breed as peaceful, friendly, quiet, and easily handled. They seemingly like confinement and make themselves comfortable in any environment. Good pets, the Cochin do well in a backyard. They seldom cackle even when laying. The hens make great mothers. 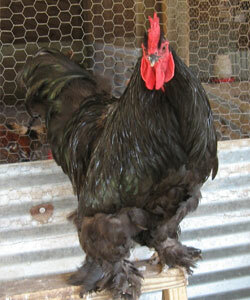 Breeders have even seen Cochin roosters feed and warm the chicks. Cochins have a submissive demeanor with all. 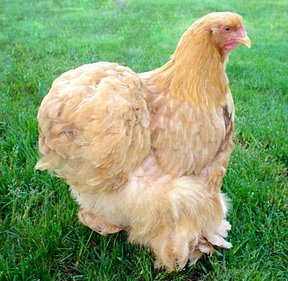 Owners seldom choose Cochins for their production qualities. However, if one wants a chicken to love, choose a Cochin. The feathers which make the Cochin so attractive also present several problems. Leg and foot feathering of the Cochin can cause mud balls which lead to frostbite or fungus. Confine them on wet days. Inspect your chickens often. Their feathers can hide small scrapes which easily succumb to infection in the moist environment of their downy feathers. The Cochin’s dense feathers can inhibit reproduction. 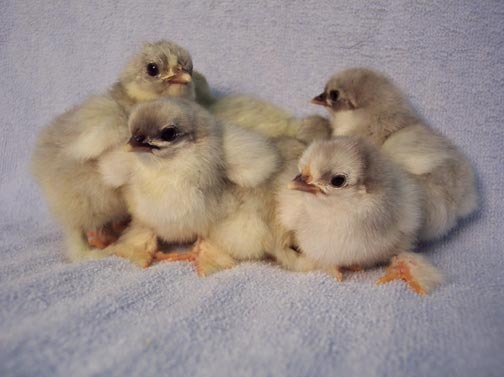 Breeders either clip vent feathers or resort to artificial insemination. Finally, their plumage can lead to overheating. Keep your Cochins in temperatures below ninety degrees Fahrenheit. Monitor your Cochin’s feed and provide abundant greens to prevent obesity with its associated diseases. Cochin gained immense popularity when presented to Queen Victoria in the mid 19th century. The Shanhai chicken later called the Cochin came from China. The Cochins inspired a phenomena called “hen fever” on both sides of the Atlantic and lead many to the keeping of chickens as ornamental show birds and pets. Early on Cochin existed only in the buff colors. 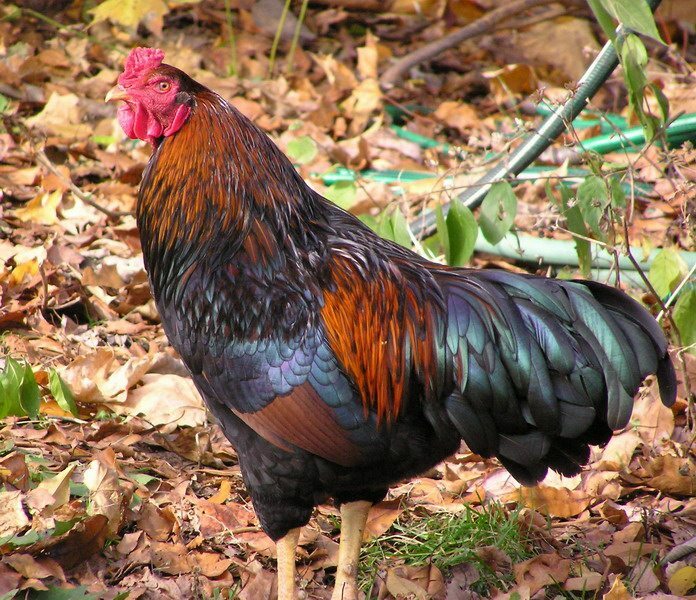 In the US breeders developed a bantam version of the Cochin and several different color plumages in the standard size. The American Poultry Association accepted the Buff, Partridge,White, and Black varieties in 1874 followed by the Silver and Gold Laced varieties in 1965 and the Barred Cochin in 1982.